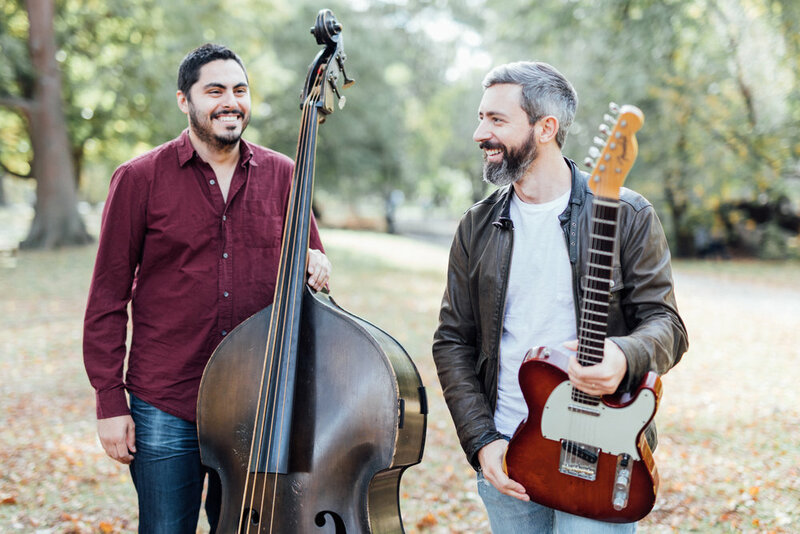 Dogwood, the guitar and bass duo out of Brooklyn, NY, features Nico Soffiato and Zach Swanson who have come together in an intimate project that presents ten original compositions rooted in jazz and improvised music. Set to release January 18, 2018 on the Italian label, nusica.org, their debut album, Hecate’s Hounds, explores the timbre of their voices through introspective approaches and works composed specifically for the duo. Dogwood performs regularly throughout the New York area and is set to appear in Europe this coming Summer. Dogwood’s page on the label’s site nusica.org. You can listen to the tracks, watch videos, interviews, and look at the charts. Nico Soffiato is an Italian guitarist, composer and educator. After graduating from Berklee College of Music in 2007, he made his home in Brooklyn. A versatile player, Nico finds himself playing in various jazz and experimental groups such as his duo with Josh Deutsch, Paradigm Refrain, and the OST Quartet. As a member of the New York music scene for over a decade, Nico has had the opportunity to play and record with some of the finest musicians from all over the world. Zach Swanson began studying the double bass at the age of 6 in his home state of Massachusetts. Using gut strings and a personalized technique, Zachary has developed a conception of the double bass that is able to heighten the integrity of various musical environments. From adventurous improvised music to jazz standards to accompanying singer-songwriters in a folk setting, he is at ease in a variety of styles.